There is a new yoga studio in town, Ujjayi Yoga Tasmania, and they have a new and modern twist to yoga. Based on new empirical evidence coming out of clinical trails in the US, Ujjayi are using yoga to helping people recover from trauma. 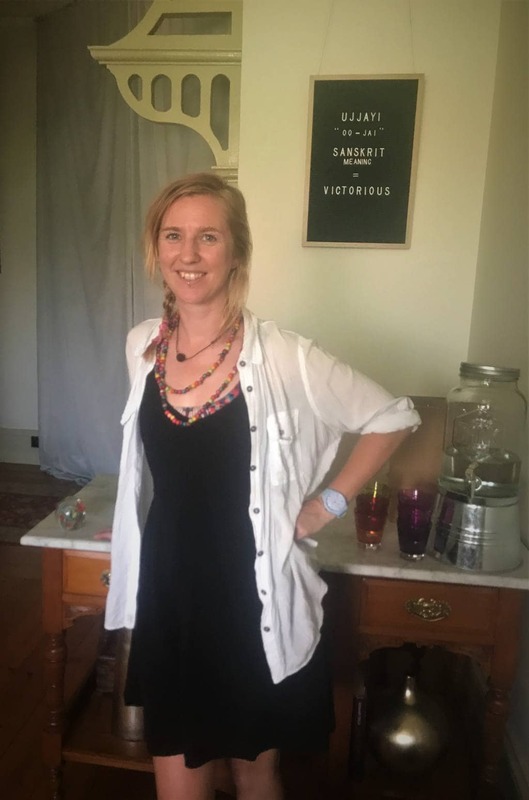 Owner and Founder of Ujjayi (“Oo’jai”), Sarah Van Est, previous worked with local women impacted by domestic and family violence and as a researcher and educator helping other mental health professionals to appropriately respond to people with a trauma history. Last year she diversified her skill set to become a yoga therapist, to offer something new and innovative for people recovering from trauma in Northern Tasmania. Many of us will experience some trauma in our lives from a wide range of high stress events. As new research explains more about the lived experience of trauma as a physical response, experts are turning to new body based therapies for recovery. After years of clinical trials in the US, trauma specialist David Emerson created Trauma Sensitive Yoga (TSY) which has had profound success in assisting people manage their symptoms and recover from trauma. In partnership with local mental health services, Ujjayi Yoga are currently working with people in Northern Tasmania impacted by trauma to help them manage their symptoms and recover using Trauma Sensitive yoga.